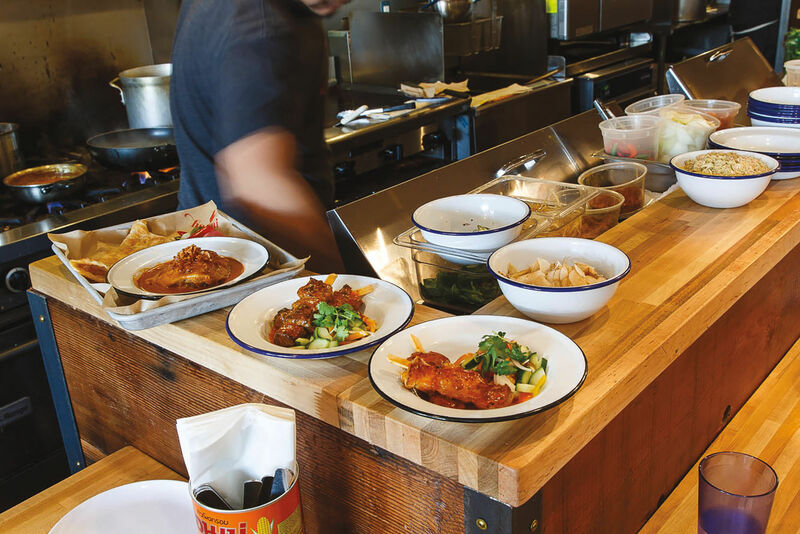 Her explanation signals that there’s a rich vein of thought that’s gone into this supremely mellow space, which sits on a gritty stretch of Northeast Portland across from a dispensary and appliance shop. 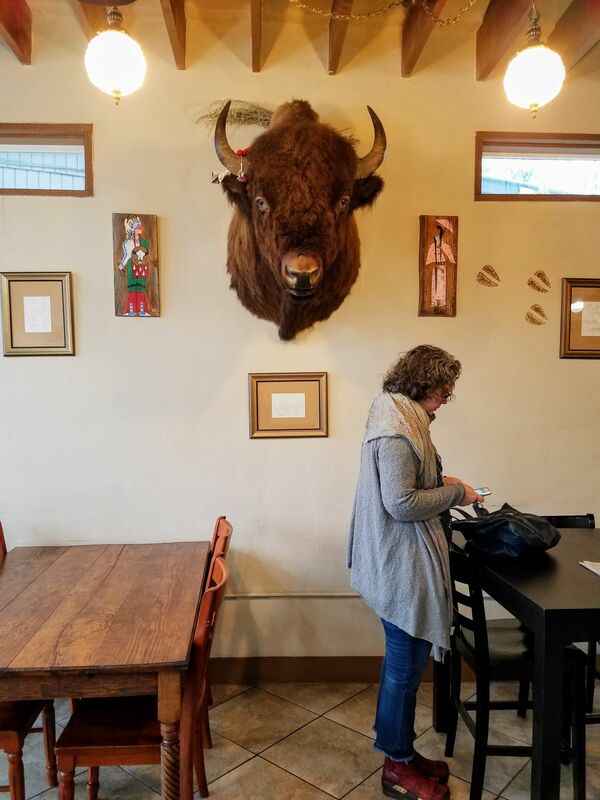 A native Portlander and member of the Shoshone-Bannock tribes of Fort Hall, Idaho, Guzman's Bison Coffeehouse is a culmination of years of work, and the city’s only Native American-owned coffee shop. 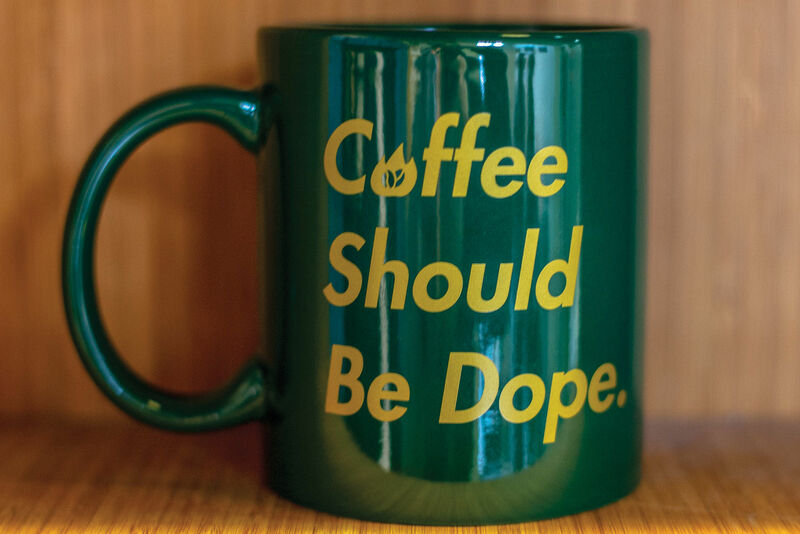 Guzman is often up front pulling "strong, medium, or light" espresso shots of local Heart Roasters and Tribal Grounds, a Native-owned roaster in North Carolina, while a soundtrack of ‘70s hits wafts from the speakers. Or she’s in back, working butter into flour for a batch of rugged house biscuits. From tender ricotta cakes snowcapped with powdered sugar to rustic cream scones dotted with mango (sweet and a bit salty), everything’s baked in-house, down to the bison-shaped sugar cookies lathered in pink icing. 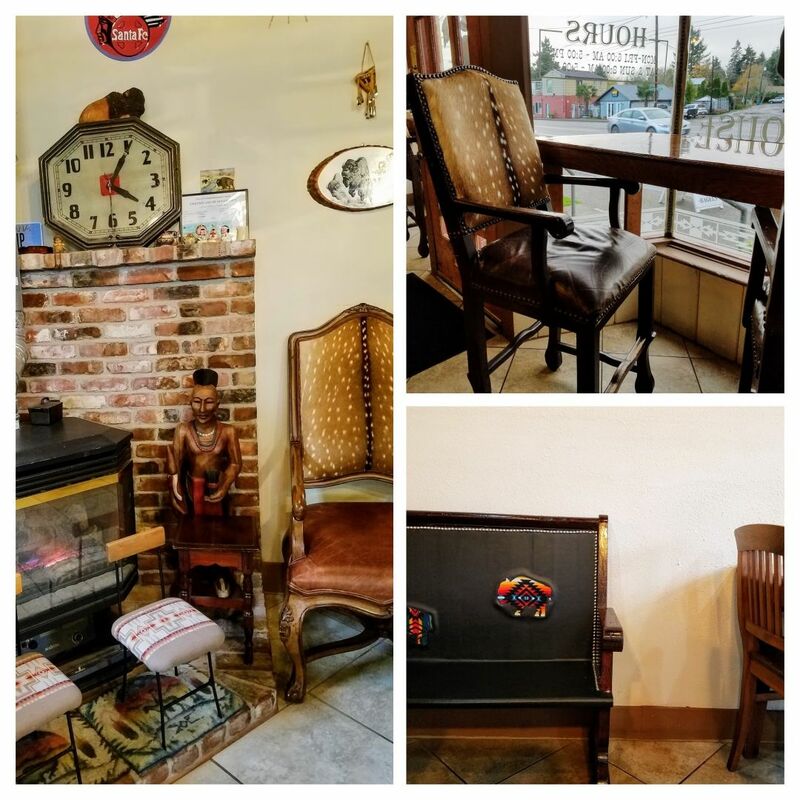 A handful of Bison Coffeeshop's carefully curated collection of Native American art and homespun furniture. 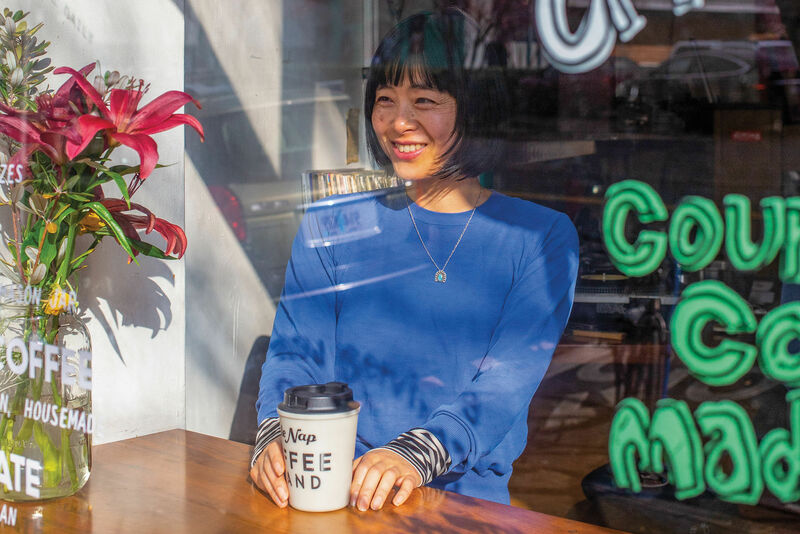 A handful of Portland’s greatest café hits are also here, like Bowery Bagels and Either/Or’s Tanglewood chai. But Guzman’s native ancestry is the shop’s main focus. A rack of Sho-Ban News newspapers sits next to the counter, while Native American sculptures and stencils decorate the walls—a warm vibe light years away from the newest crop of PDX coffeeshops with their concrete-and-pop-mural aesthetic. Guzman’s family has lived in the Alberta area since the 1960s; in 2012 the coffee industry insider began rehabbing a storage space on the Cully property her father had owned for decades. 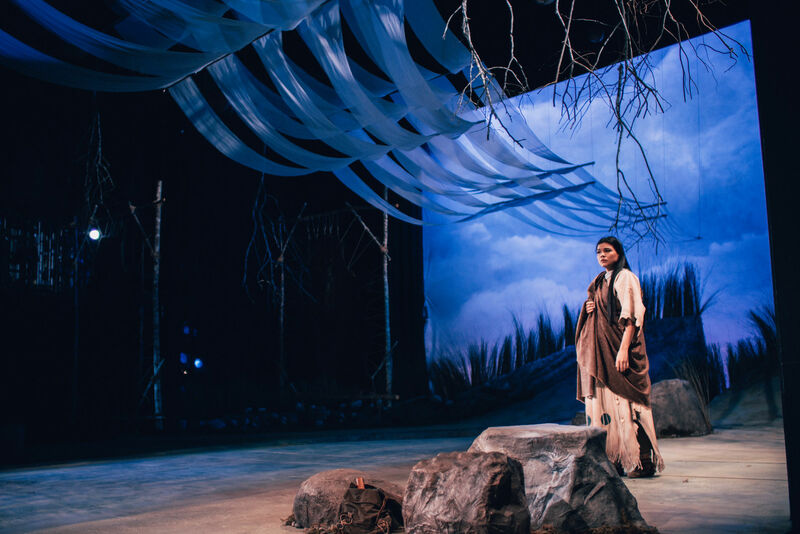 In November 2014 she opened with ornate beaded purses, carvings, and paintings galore—many of which she gathered, she says, during her travels along the pow wow trail across the United States. 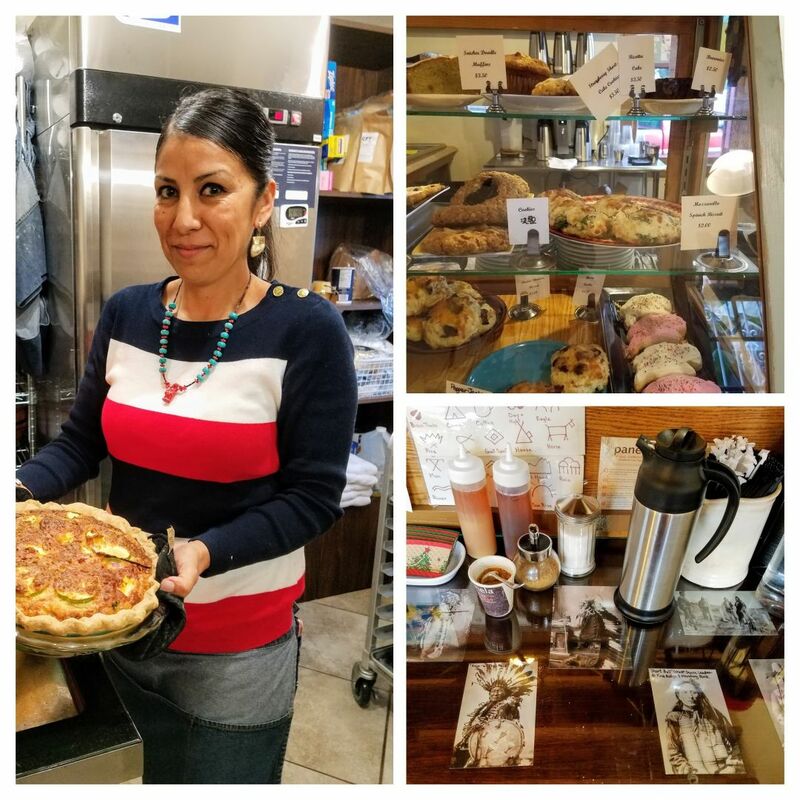 Bison owner Loretta Guzman with one of her housemade treats; the Bison's savory and sweet goods; tribal photos with a side of sugar and cream. The big church pew bench along the northern wall? It’s a loaner from members of her father’s biker club. Her sisters reupholstered the bench in bison-patterned Pendleton blankets and tough vinyl. Her mother found a sideboard on the street, varnished and stenciled buffalo on it herself, and Loretta decorated the top with photos of their ancestors stretching back to the days of the Battle of Little Bighorn. Since opening the space, it has evolved as a hub for the working-class Cully neighborhood, hosting Native and community events, from Coffee With A Cop meet-ups and holiday visits with Native American Solte Santa to spearheading major efforts to raise money and supplies for Standing Rock. But a visit on any random day can be a bit of an education—a fresh perspective on old, old Portland culture with a strong cup of coffee.